A loan of $125 helped to purchase more rice, palm oil, oil, pepper, onions, salt, fish, Maggi and other items. Meet 29 years old Yeh Alpha from Masingbi branch. She is married with 3 children between the ages of 1 and 7 years old. Yeh Alpha runs a food business. Yeh Alpha sells “cookery” beside a busy road. “Cookery” is a modest term for the wealth of spicy stews that are cooked by local people and served with rice. The building blocks of such stews are palm oil, cassava leaf, rice, green chillis, seasoning (like Maggi or red pepper) and chicken or fish. She has been in this business for the past 5 years now and works 11 hours per day and 7 days a week. Her other source of income is from her farming. Her main challenge is the high cost of transportation. Yeh Alpha requested this loan from BRAC to purchase more rice, palm oil, oil, pepper, onions, salt, fish, Maggi, and other items to increase her business. She says that the extra income from this loan will help her to pay fees for her children and to take care of her family. In the next 5 years, she wants to expand to a restaurant. She says thanks and appreciation to BRAC and the Kiva community for their support. It provides women with access to funding in areas where there are limited alternative source of finance. It provides access to funding in areas where there are limited alternative sources of finance. This loan is administered by BRAC Sierra Leone. BRAC, the world’s largest NGO, takes a multi-dimensional approach to attacking poverty through offering a comprehensive range of programs in the realms of microfinance, capacity building, livelihood development, health, education, and social justice. BRAC Sierra Leone plays a large role in providing economic empowerment to communities that lack access to the financial mainstream. 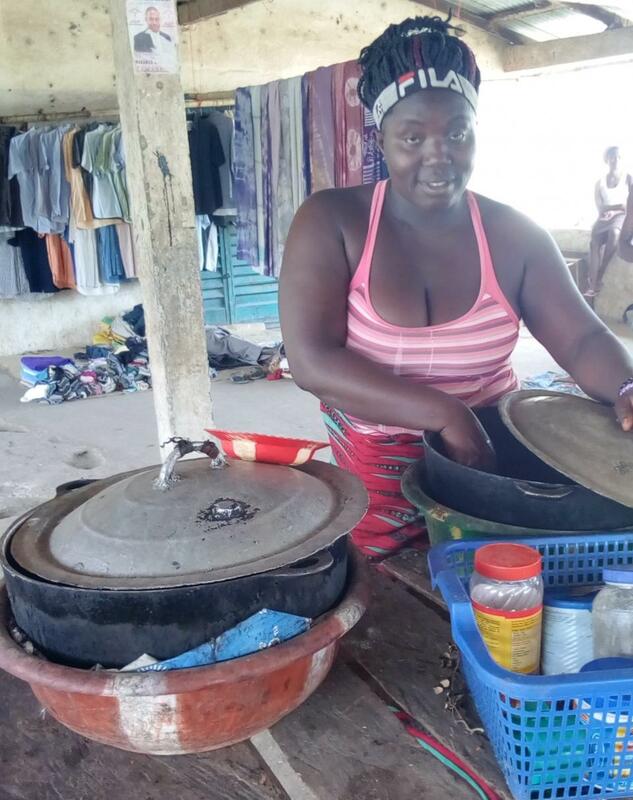 BRAC Sierra Leone offers small enterprise loans to men and women who desire to expand their small businesses, generate employment opportunities, and provide new services. More information can be found on BRAC Sierra Leone’s Kiva Field Partner Page. BRAC Sierra Leone is majority owned by BRAC, and is one of the largest microfinance institutions in the country. The organization has a strong social focus inherited from the BRAC credit methodology of exclusively targeting poor women in both rural and urban areas. Kiva’s partnership with BRAC Sierra Leone will help the institution expand microfinance services beyond urban centers and offer credit to unbanked populations in rural areas that currently have little or no access to these services.